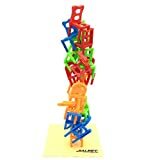 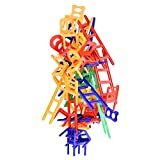 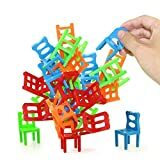 This cool new MoMA Chair Stacking Game is a unique game that challenges players to stack 15 miniature cardboard chairs on top of one another in any pattern they see fit until it either all topples down or ends up as a sculptural masterpiece. 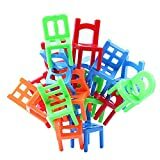 The chairs are made in Spain from compressed cardboard, assemble in seconds, and can be stored as a permanent sculptural display in between games. 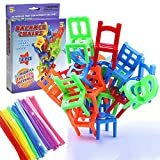 Bet you can't stack them as well as the ghosts in Poltergeist.